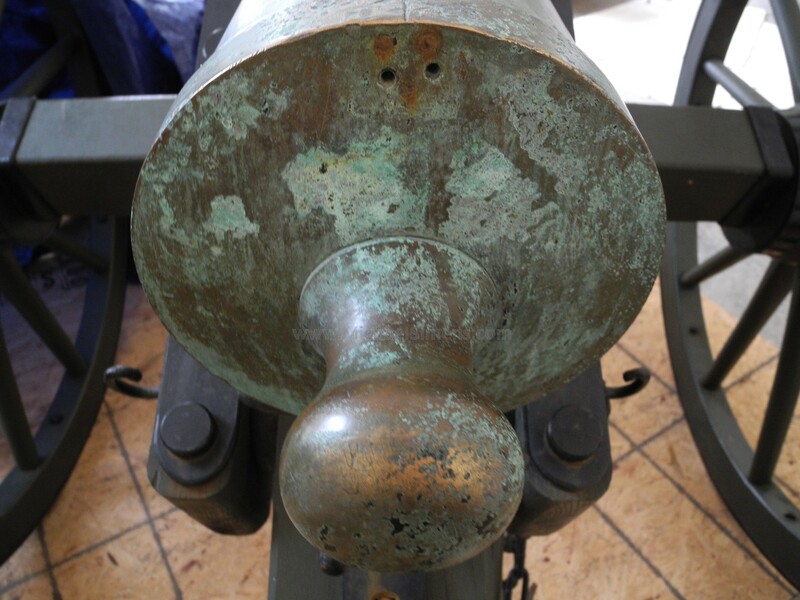 One of my all-time favorite Civil War Artifacts is the classic 6-pounder cannon of Bronze. 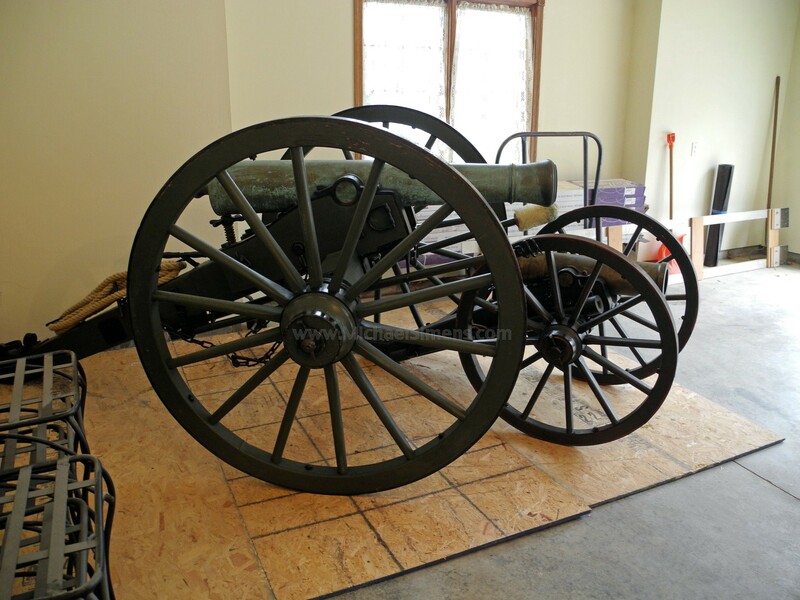 Although most of us can never afford one, many of us are aware of the chill it gives us when visiting a museum or better yet, a battlefield site where they can be found on display. 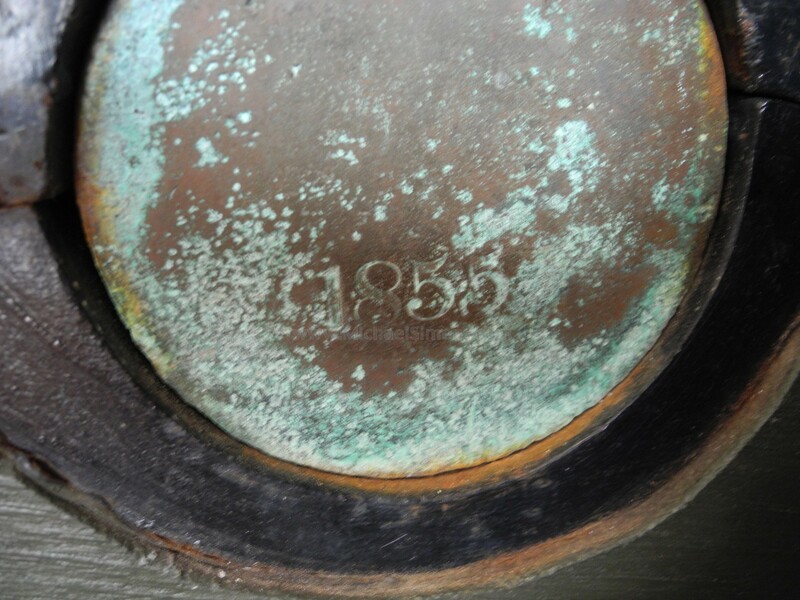 This rare gun is in wonderful condition and fully marked and inspected. 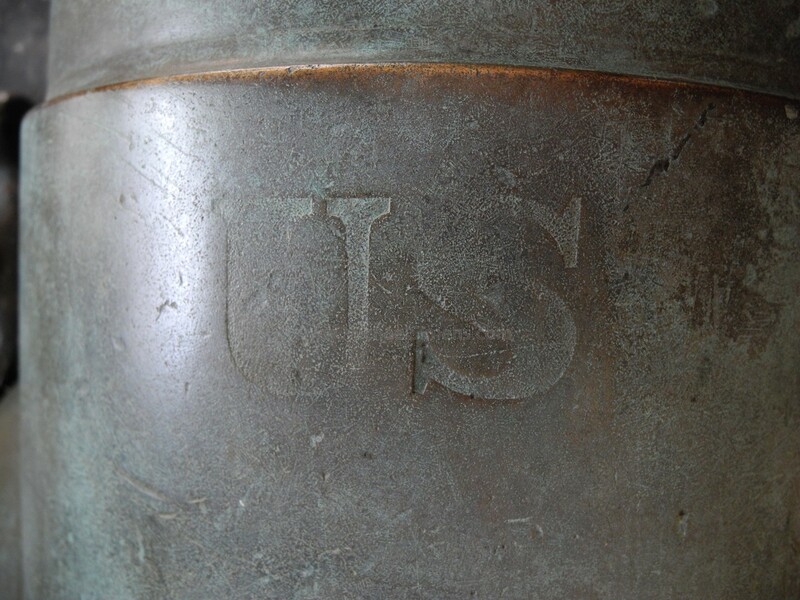 It was cast by the Ames Foundry in 1855. 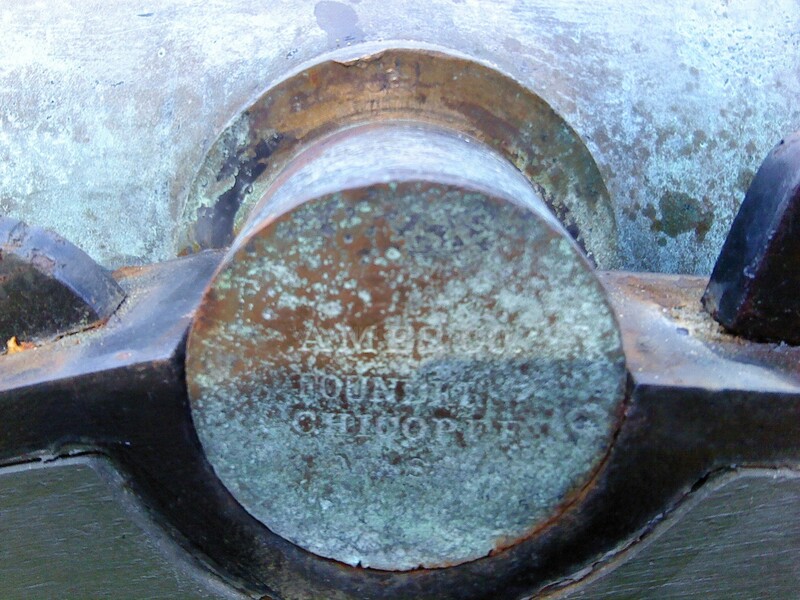 These guns were heavily used before, during and after the Mexican War, but by 1863 were just about out of vogue with the Union who preferred the 12-pounder Napoleon. Not so with the Confederates, who had to garner any and all artillery they could find, obsolete or not. They were loaded with 6 pounders such as this and valued them highly. 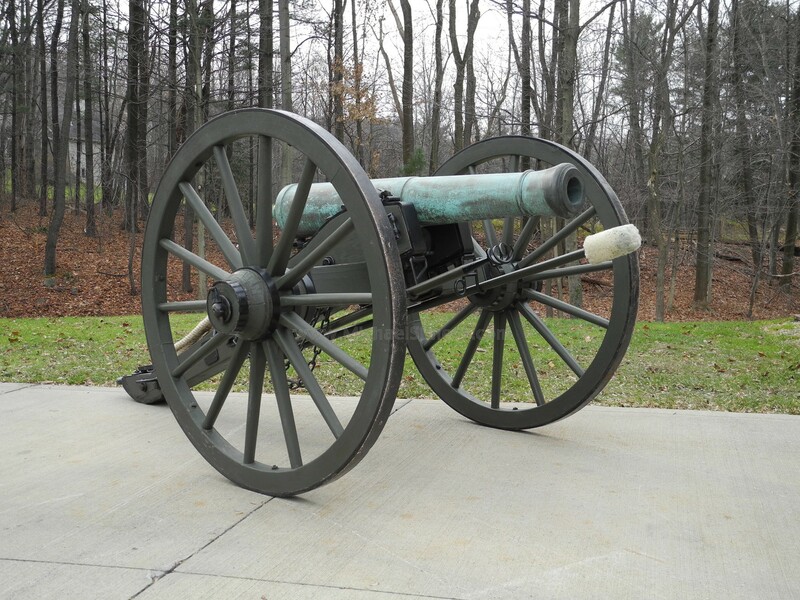 Virtually any pre-1861 dated 6 pounder could have been used by Confederate forces. The carriage on this gun is a wonderful reproduction in very good condition (there are but a handfull of originals known to exist). 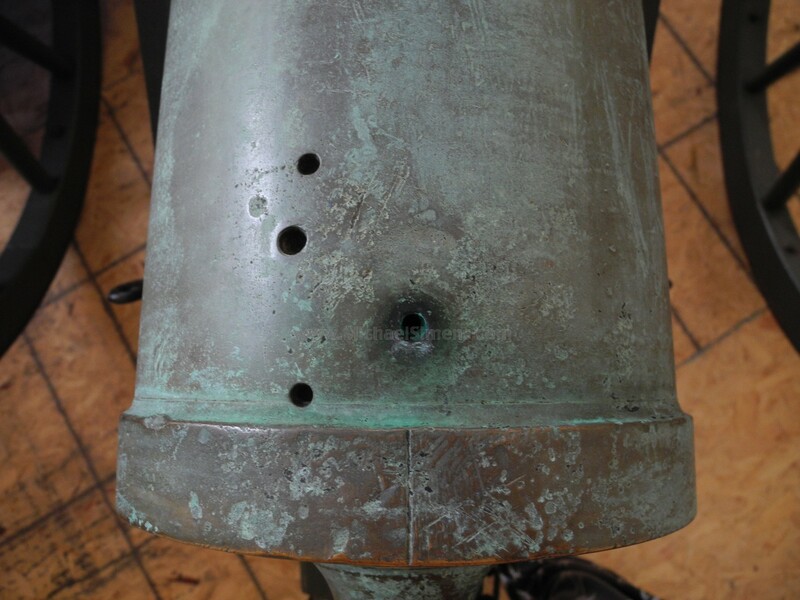 The tube shows very little corrosion and a great green patina forming about the gun. I can recall the first few times I visited the Gettysburg Battlefield Park and waking up on the foggy summer mornings to go into town for breakfast on the Taneytown Pike. The cannons scattered across the misty landscape would give me chills. They remain a site to behold to this day and hopefully, shall remain so. I recommend that anyone that's never been to Gettysburg to not only put it on your bucket list, put it at the top while you're young enough to march through the historic fields and still have fresh legs. If you like American History, there's nothing else like it. If you can't make it to Gettysburg or another park, you probably need to buy this gun to get the same effect. Not recommend for those that love apartment living. Shop and compare people, one of these just sold at Auction for over $90,000.00 ! If you know of someone that has been bidding the higher prices at auction for these rare guns, let them know we have one at a bargain compared to recent sales.